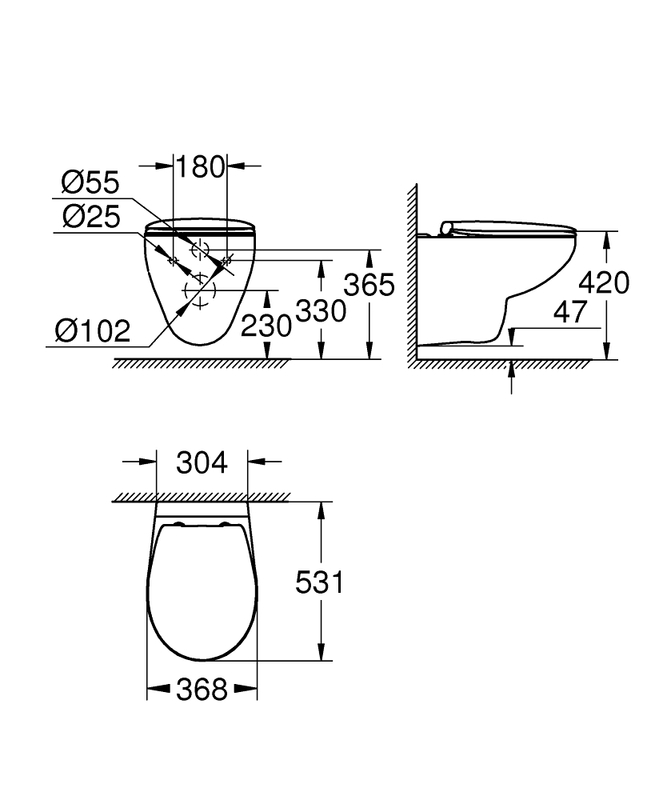 A GROHE Bau Ceramic wall-hung WC is an ideal choice for a bathroom redesign or upgrade. 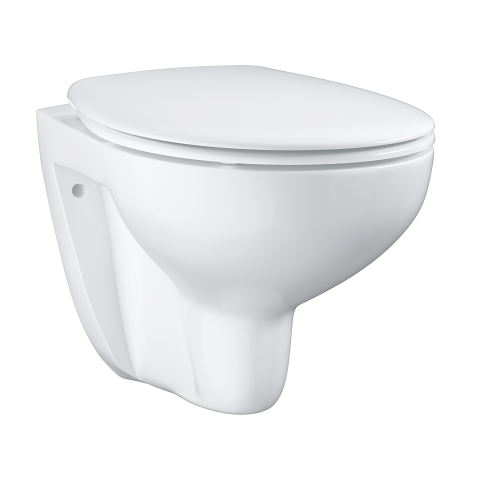 Designed with pared-back style and clean lines, this wall-mounted WC comes with a seat and lid with the GROHE SoftClose function, ensuring no slamming noises and no trapped fingers. In glossy Alpine White vitreous china, the WC’s rimless technology gives germs nowhere to hide, making cleaning easy and guaranteeing improved flush performance. 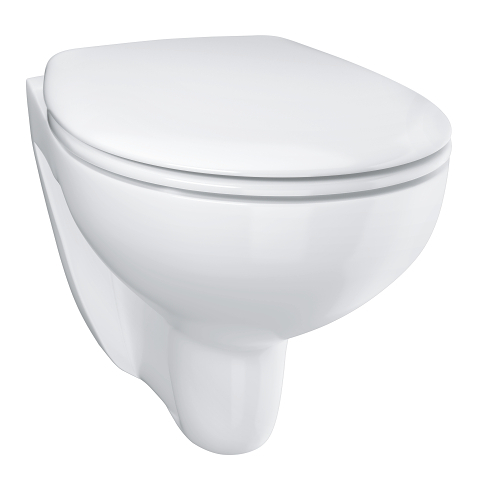 The WC has a horizontal outlet and a flush volume of 6/3L. GROHE Bau Ceramics have been designed for a seamless fit with GROHE Nova Cosmopolitan flush plates and GROHE Rapid SL installation sets, for complete aesthetic harmony and ultimate performance, making the design process easy. By choosing GROHE ceramics you benefit from GROHE’s global expert in sanitary fittings, plus 100 years of technical excellence and expertise from LIXIL, the leading brand in surface technology. GROHE Bau Ceramics – versatility for modern life, at an attractive price.